Our Society lecture last night was titled "In Search of the Northern Lights" which was given by Dave Tovey of our Society. Thank you to Dave for sharing his experiences in Norway, it looked fantastic there! It was quite late when I noticed this through my Solar binoculars. 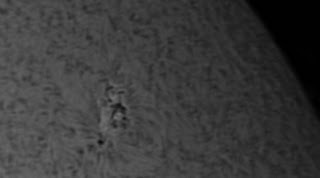 The first and second image of Sunspot 1054 were taken through my Skywatcher 80mm refractor, baader filter, 2x and 3x barlows. Last image was taken through my PST and a 3x barlow. 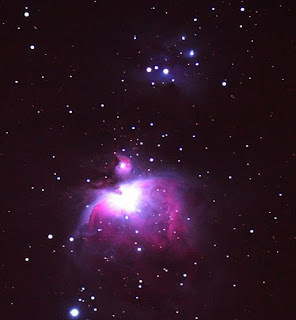 Gaynor Thomas and Steve Wainwright made a quick visit to the Fairwood Observatory on Sunday afternoon. 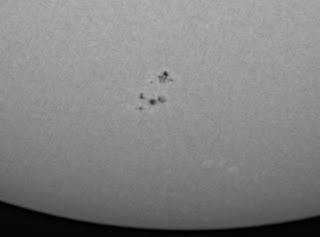 They observed the Sun in White light with an 80mm refractor fitted with a Thousand Oaks Glass solar filter, Hydrogen alpha light with a H-alpha PST, and Calcium K-line light with a Ca K-line PST via a DMK camera. 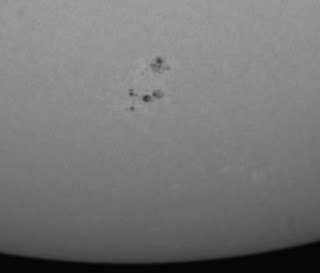 The newly forming sunspot had already dissipated by the time the observing began and there was nothing of interest in White light or calcium K-line light. Nevertheless there was considerable interest in H-alpha light with some areas of plage and some magnificent filaments with small prominences. 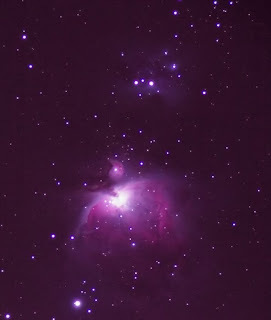 3000 frames were captured at 60fps in batches of 1000, processed in Registax and then in the Gimp.